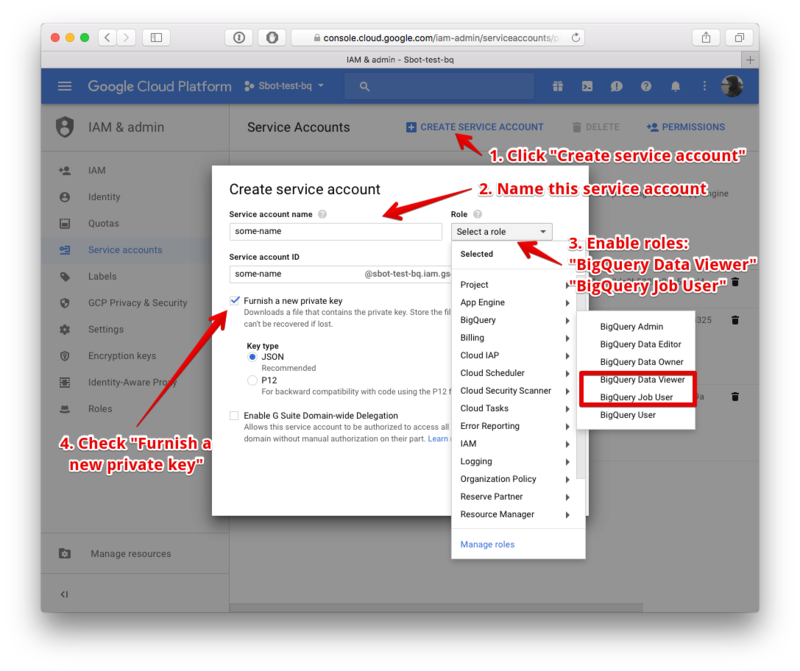 First thing you need to do is to sign in to your Google Cloud Platform Console and visit APIs & services section. 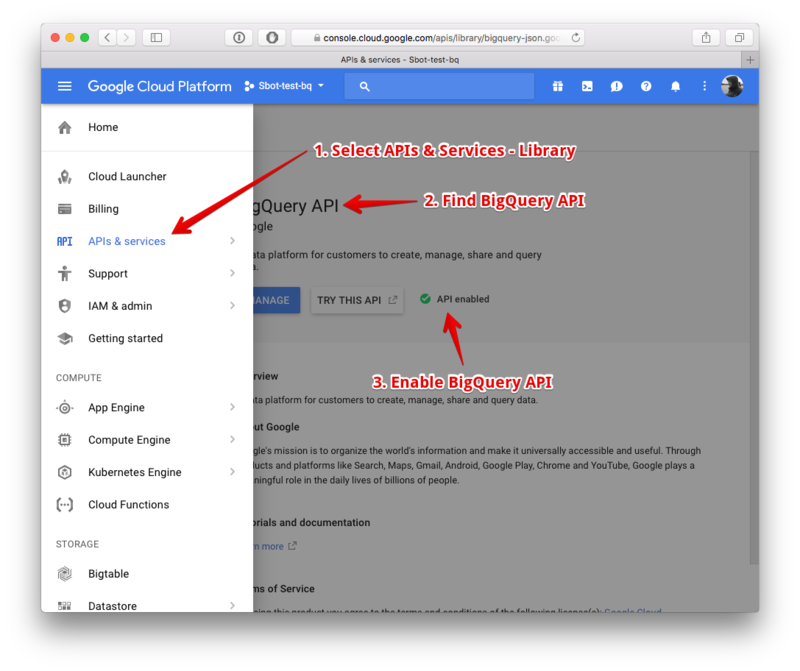 Find BigQuery API and enable it. Click on Create service account and name it in a way you like. Enable 2 roles: BigQuery Data Viewer and BigQuery Job User. Lastly, don't forget to tick Furnish a new private key box and choose JSON. We will need this file soon. Confirm everything by pressing on Create button and JSON file will be downloaded. 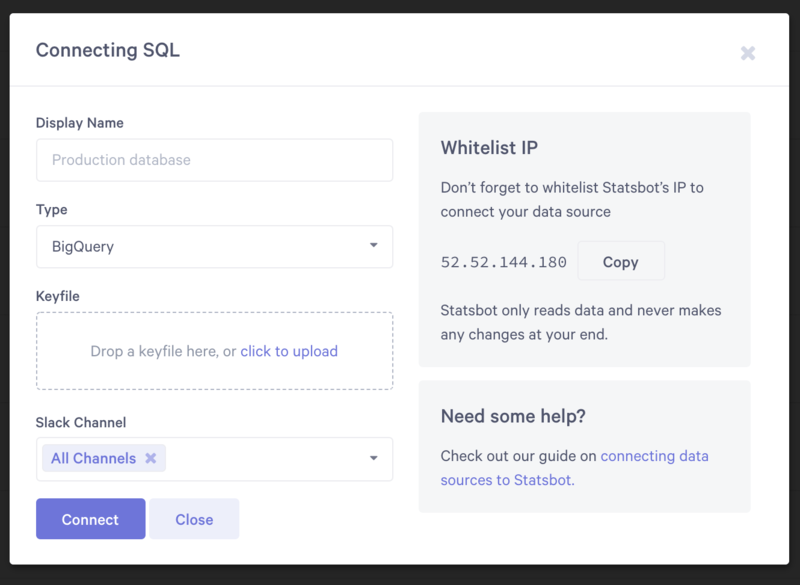 Lastly, sign in to statsbot.co and choose Data Sources section. Press on Add Source button and then click on SQL icon. 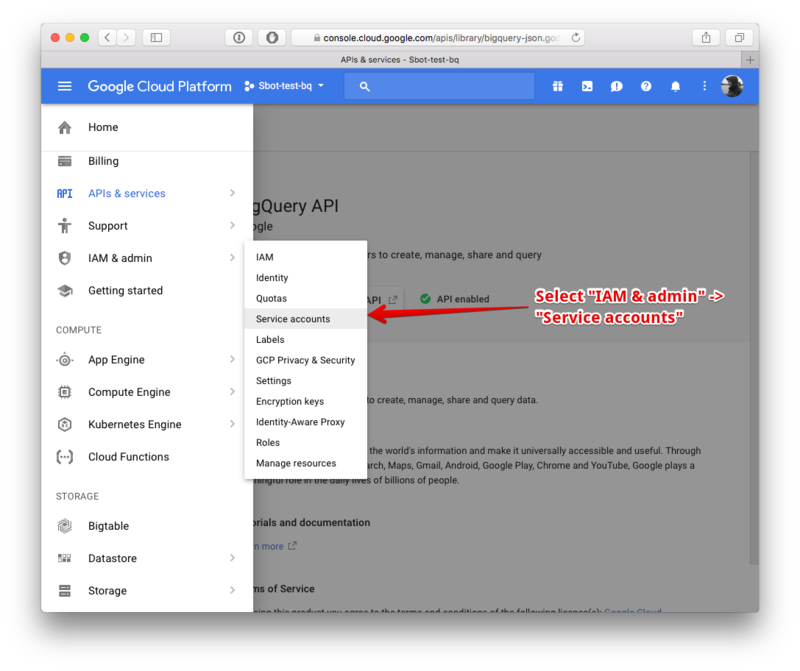 Choose BigQuery in drop down menu, enter your Project ID and attach json file you created at step 2. In case you will need any help, feel free to reach us out in our Intercom support chat.